RPM ™ – Ride to the rhythm of powerful music to a calorie-burning endorphin high! 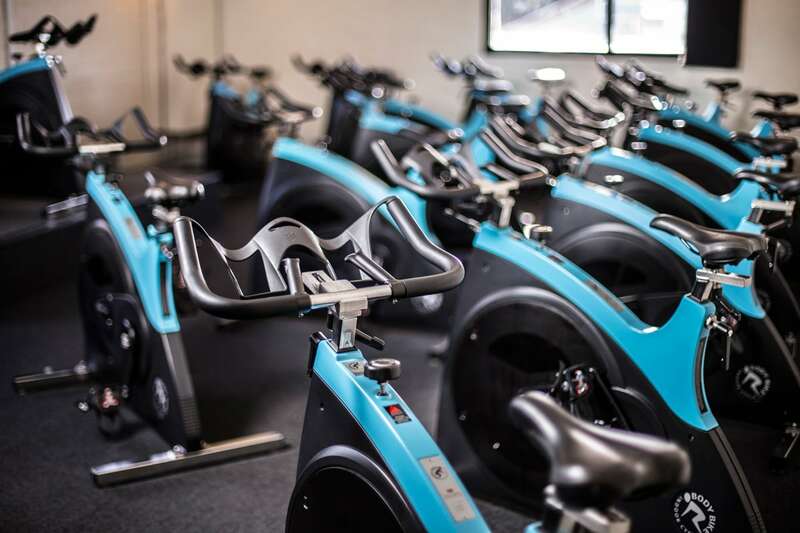 RPM is an awesome studio cycling class, which will lead you on a journey of total calorie destruction in 45 – 50 minutes! RPM is fantastic for shaping and toning your lower body and will dramatically increase your fitness levels. If you are skiing or snowboarding this ski season, RPM is a must for you! It is a perfect class if you are new to group fitness, it is a low impact, safe, work out for all levels of fitness with intensity controlled by you. We offer a 60 minute format on Saturday morning’s at 8am. 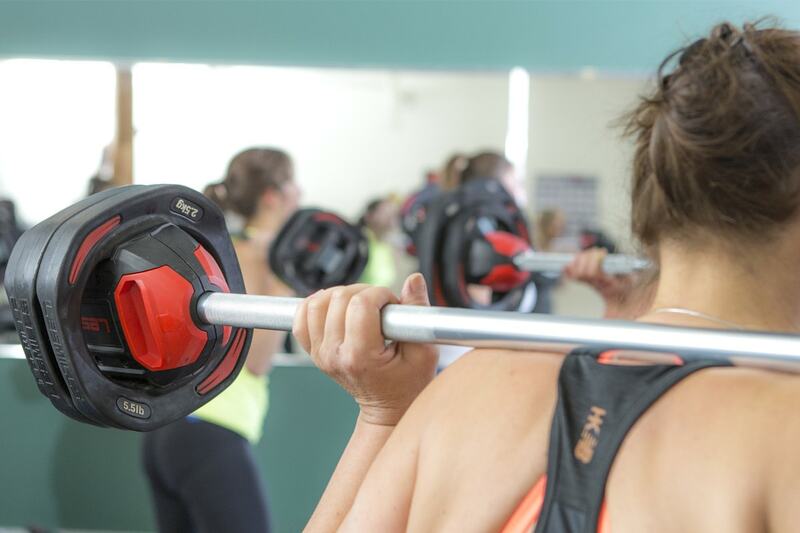 BODYPUMP ™ – The original barbell workout that strengthens and tones your entire body &amp; gets you results. This workout challenges all your major muscle groups by using the best weight-room exercises like squats, presses, lifts and curls. Great music and your choice of weight inspire you to get the results you came for – and fast! We offer 30 minute and 60 minute formats. 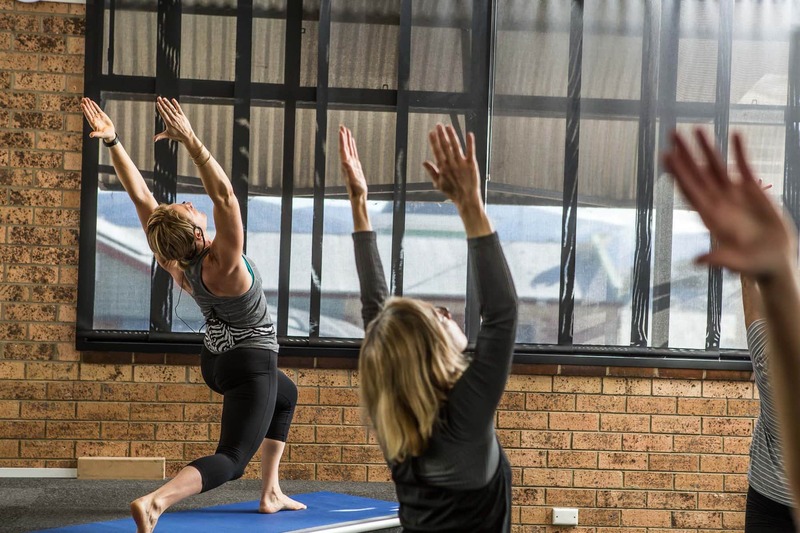 BODYBALANCE ™ – The Yoga, Tai Chi, Pilate’s workout that leaves you feeling flexible, strong, centred & calm. SH’BAM is a fun loving, insanely addictive dance workout. No dance experience required, just bring a playful attitude, an open mind and a cheeky smile. 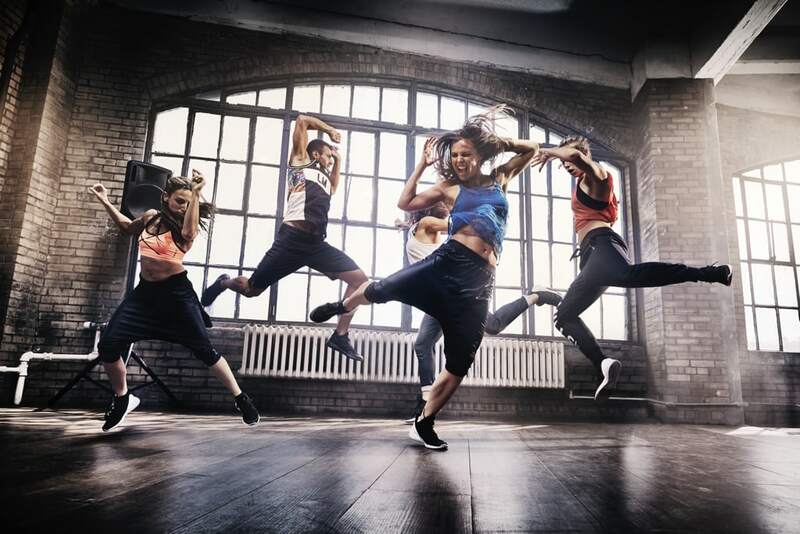 Have fun; learn new dance moves all while increasing your cardio fitness. We offer 30 minute and 45 minute formats. BODYCOMBAT is a high-energy martial arts-inspired workout. You will learn how to punch, kick and strike your way to superior fitness and strength. This Non-contact workout takes you through moves from Karate, Taekwondo, Boxing, Muay Thai, Capoeira and Kung Fu. Release stress while getting as fit as a champion. CXWORX provides the vital ingredients for a stronger body while chiseling your waistline. A stronger core makes you better at everything you do – it’s the glue that holds everything together! This is a 30 – minute class. A challenging full-body workout, that will make you work and sweat! Each session incorporates Boxing, Strength Training, Core Work and Cardiovascular Conditioning using great equipment such as suspension training systems including Rip 60 and TRX plus TRX Rip Trainers just to name a few. This session will always throw some surprises at you! This group exercise circuit style session is designed for everyone! You are encouraged to work at your pace. Within the timetabled slot, arrive anytime it suits you! Complete 1 – 4 Rounds, whatever suits you! Each session will feature a different set of exercises/stations. We all want to move better and feel better so we can live a healthier life! This class will challenge your overall strength, balance and core whilst improving your posture through range of movement. Body weight training, Mat work, Circuits, Power bands & loops, Slides, Fit balls, Stretching straps, Therabands, Bosu’s, Rollers and more. Get ready for a wonderful movement class that will leave you feeling fabulous and wanting more! Are you sick of complaining about a sore back & a weak core? Let’s face it none of us do enough core work or stretching! Want to build a strong foundation from the inside out? This is a gentle mat work class where you build your base core strength and sometimes use equipment. We concentrate on balancing and strengthening, focusing on core stabilisation and postural alignment. This class is for everyone and you can make it as easy or as hard as you like! Forever Active is a program to suit our more mature community members. 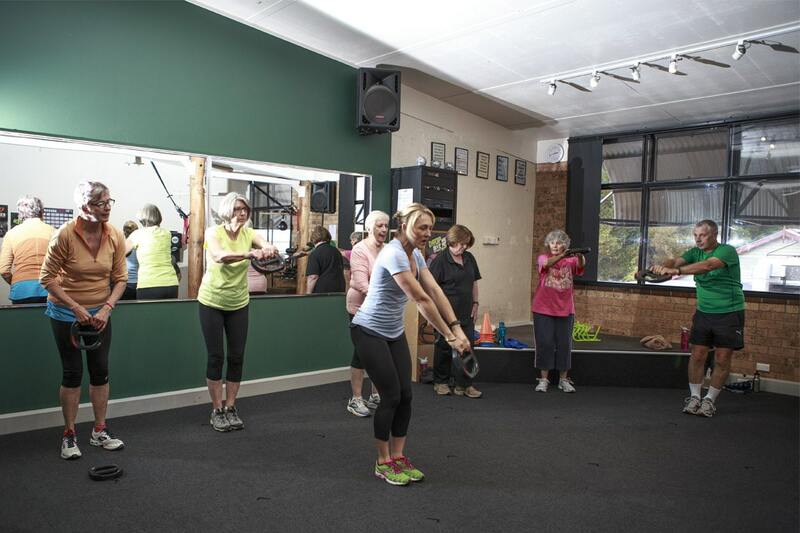 A fully supervised class focussed on improving cardiovascular endurance, strength, balance and flexibility set in a fun, social group environment. People of your own age group surround you and you are encouraged to work at your own pace. Equipment for all Group Fitness Classes is provided. So please book in to avoid the disappointment of missing out!